UK – Leading manufacturer of flame retardant fabrics, drapery and stage engineering solutions, J&C Joel, has appointed Natalie Fleetwood as their new Quality Improvement Manager. Natalie has over eight years’ experience in several manufacturing industries within the quality sphere. 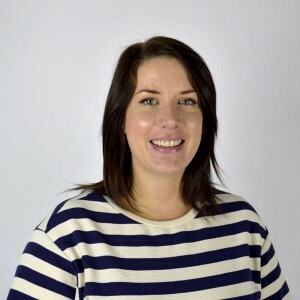 Having previously worked as a business assurance manager, Natalie has a skill set which is ripe for further honing J&C Joel’s ability to quickly and effectively deal with any potential quality issue whilst embedding continual improvement into its every day philosophy. Natalie’s experience and qualifications will enable J&C Joel to continue to strive to deliver high quality products and services to their customers at all times. There is a growing need within textile manufacturing and related industries for high quality products from reputable suppliers who can demonstrate credibility with robust systems. By maintaining a strong focus on quality, J&C Joel are proving they are determined and very able to meet that need. Matt Corbett, operations director added: “Natalie brings a wealth of experience in quality assurance and improvement to the role. As such she is a welcome addition to the team and will cross over all aspects of the company, to ensure we meet the ever-increasing demand and growth of our business.